Published on August 23, 2016,	in Fresh Goods. 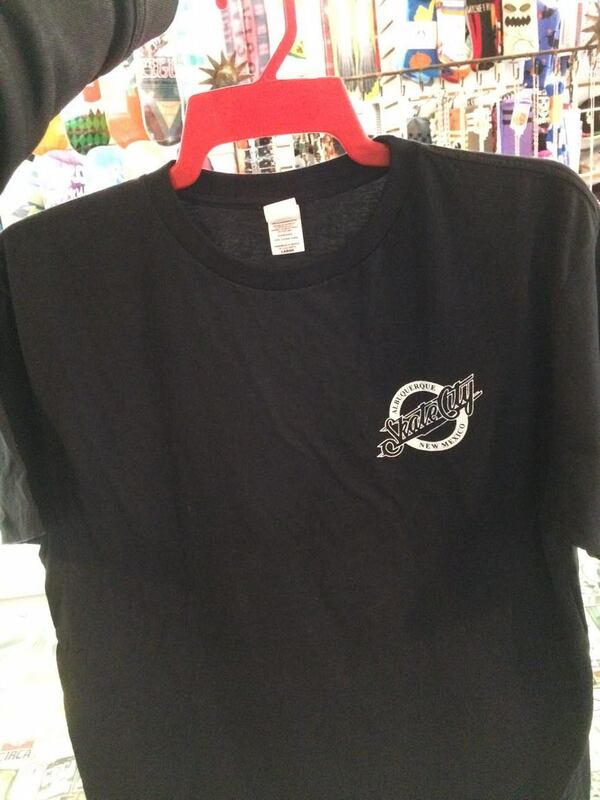 We got some new Skate City apparel and stickers for ya! 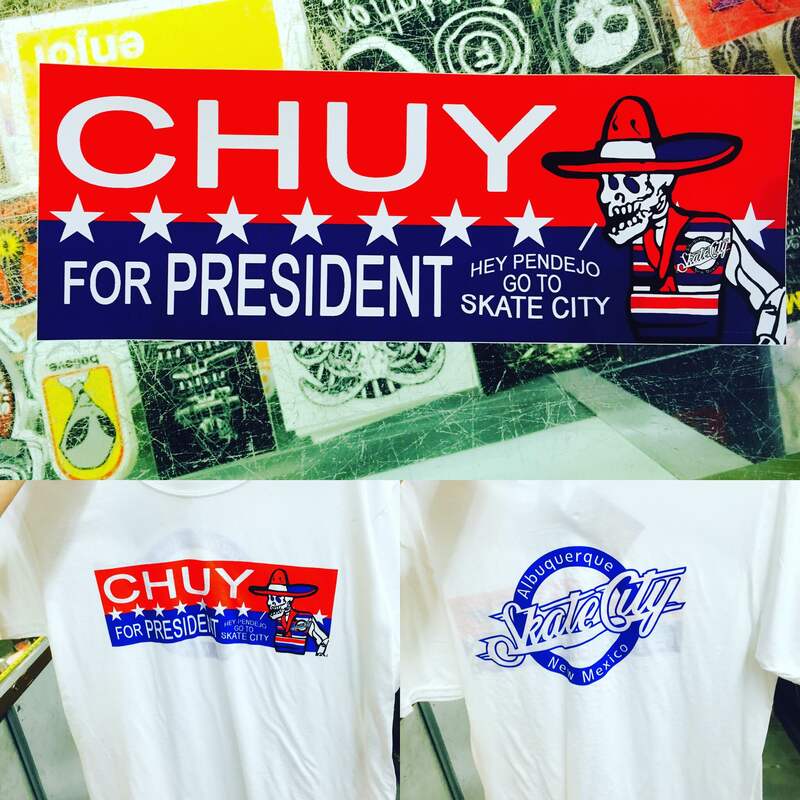 Vote Chuy for President, pendejo! Published on February 9, 2016,	in Fresh Goods. We got some brand spankin’ new snow pants and jackets ready mid-season. Old gear not holding up? 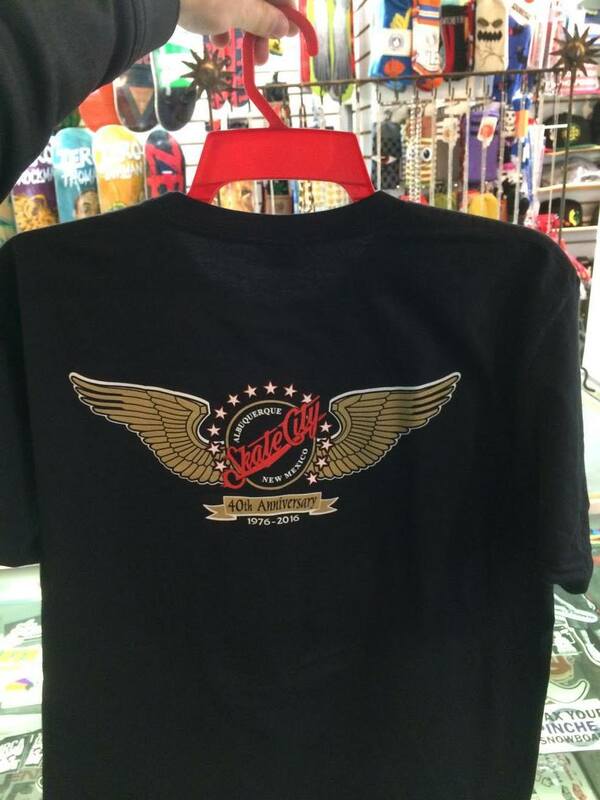 Maybe want something new to look rad on the mountain. Either way, we got you covered starting at $70 per article of clothing for sizes XS to XXL. We’re stocked. 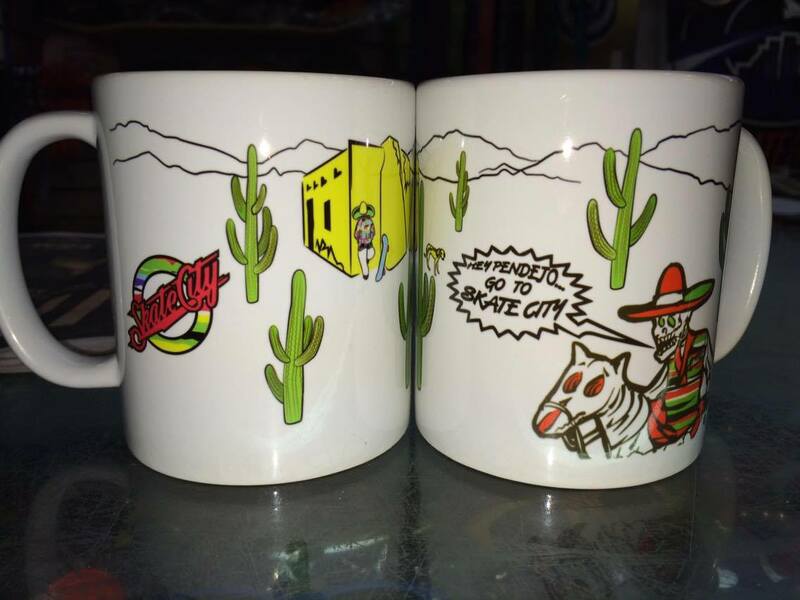 New “Pendejo” Mugs And 40th Anniversary Shirts! Published on January 19, 2016,	in Fresh Goods. We got some new goodies for the new year. New mugs and our awesome new shirt to celebrate our 40th anniversary! 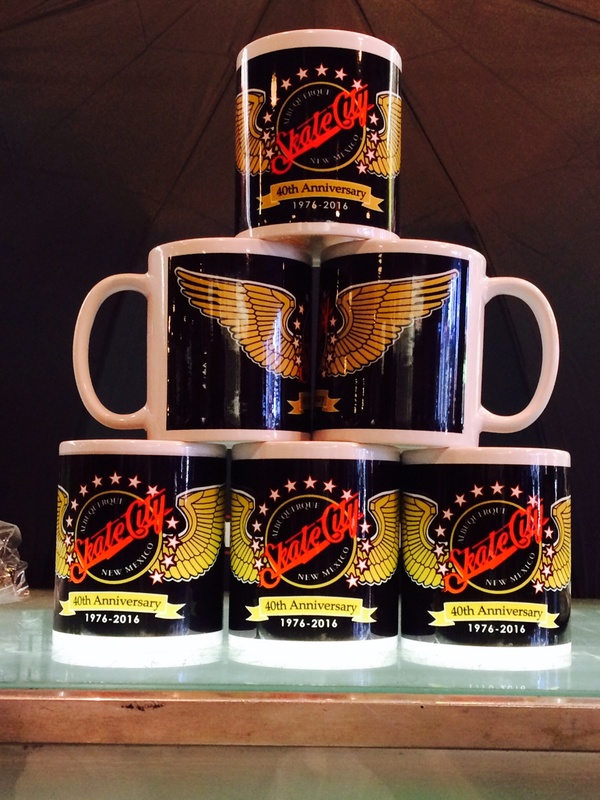 New Skate City 40th Anniversary Mugs! Published on October 14, 2015,	in Fresh Goods. Need something super rad to put your coffee or questionable beverage into? We got you covered with our bitchin’ new 40th Anniversary mugs! We’ve been around way too long and we made a freaken’ cup to commemorate. Get ’em while they’re hot, cold, or whatever. Buy one for $7 dollars. Do it. Do it now. 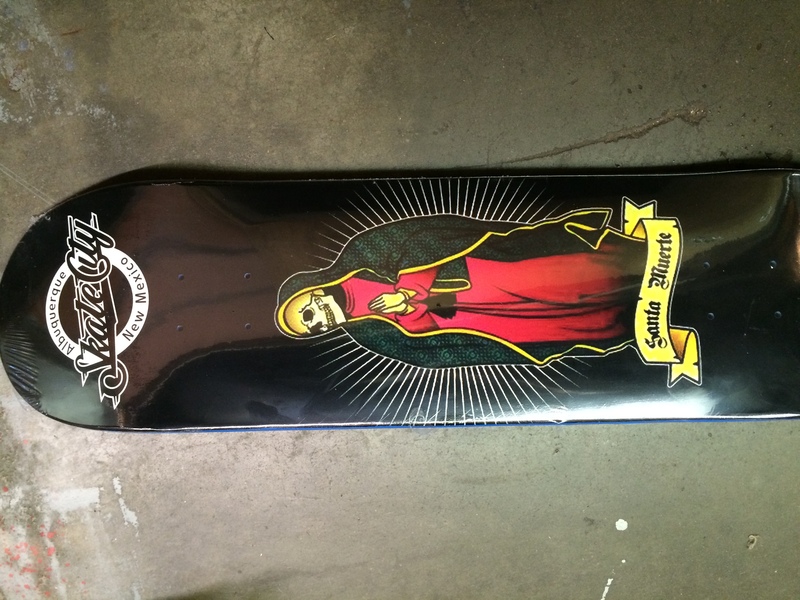 New Skate City Supply “Santa Muerte” Decks In! Published on August 19, 2015,	in Fresh Goods. We got some new Skate City Decks in! Featuring our new “Santa Muerte” decks! 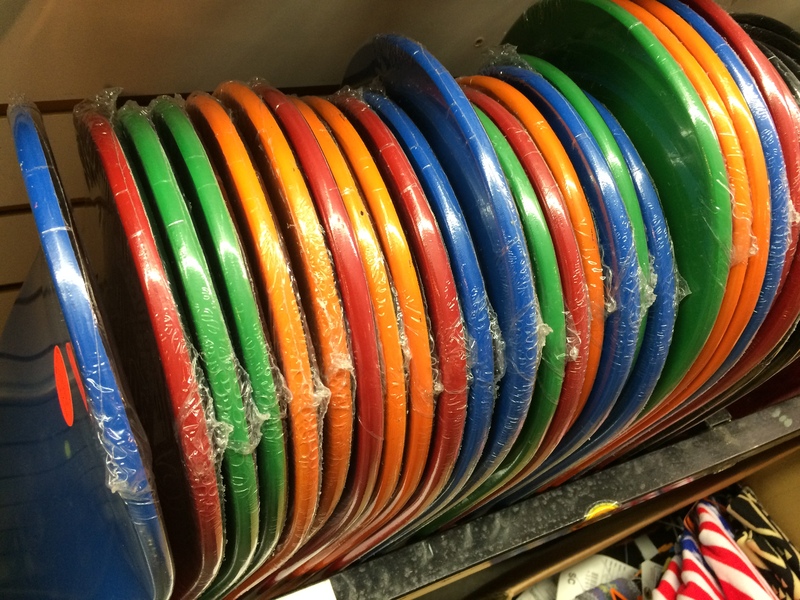 We got them in just about every size you can want or need. They also come in a variety of top colors. Come grab one to shred!